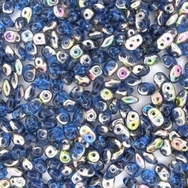 This is a 10g pack of Superduo beads in Sapphire Vitrail. 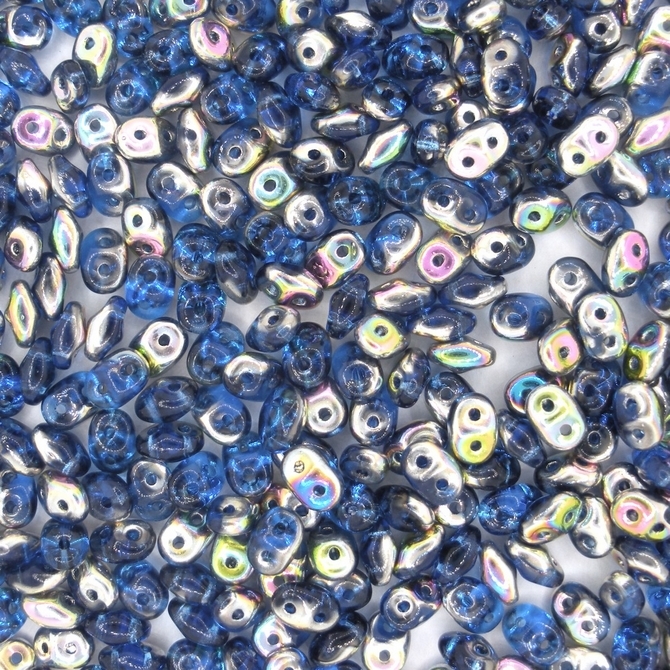 These are the two holed seed beads which measure about 2.5mm x 5mm. The Czech number for this colour is 30060/28101.